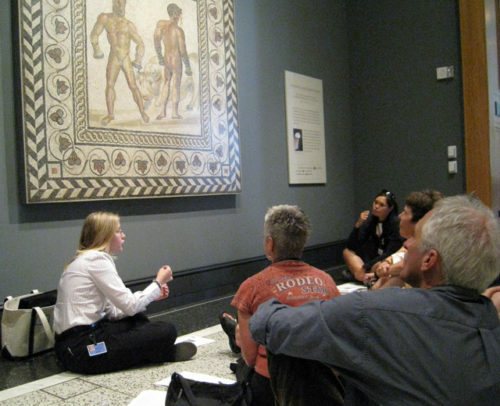 As the education specialist for gallery teaching programs at the Getty Villa, I work with our staff of gallery teachers to develop and refine tours and programs meant to engage the general public in looking closely at works of art. I also manage the Villa's Point of View program and run the Los Angeles branch of the American Association of Museums' Emerging Museum Professionals group. I completed an M.A.T. in Museum Education at GWU before starting at the Getty in 2005.